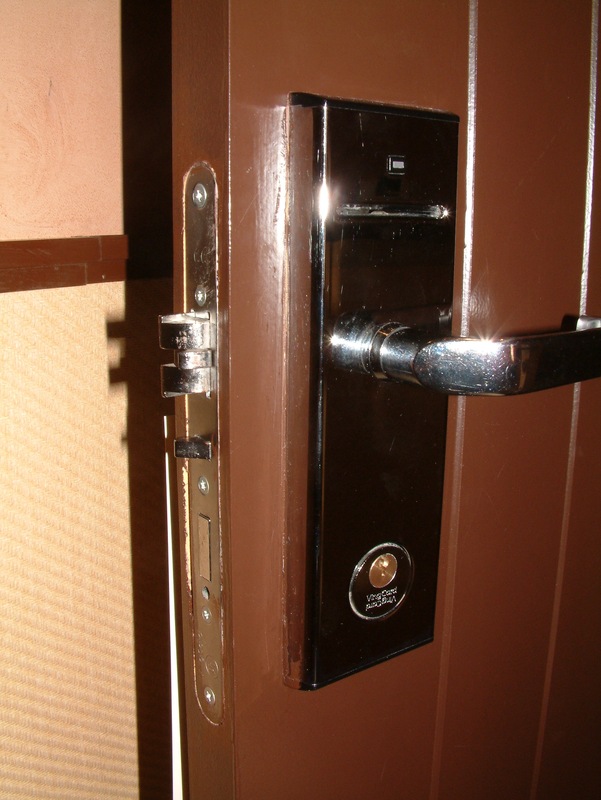 Another way to open some hotel doors would be to simply go under the door and grab the handle from the inside using a special tool. As you can see in this video, it is not so difficult. 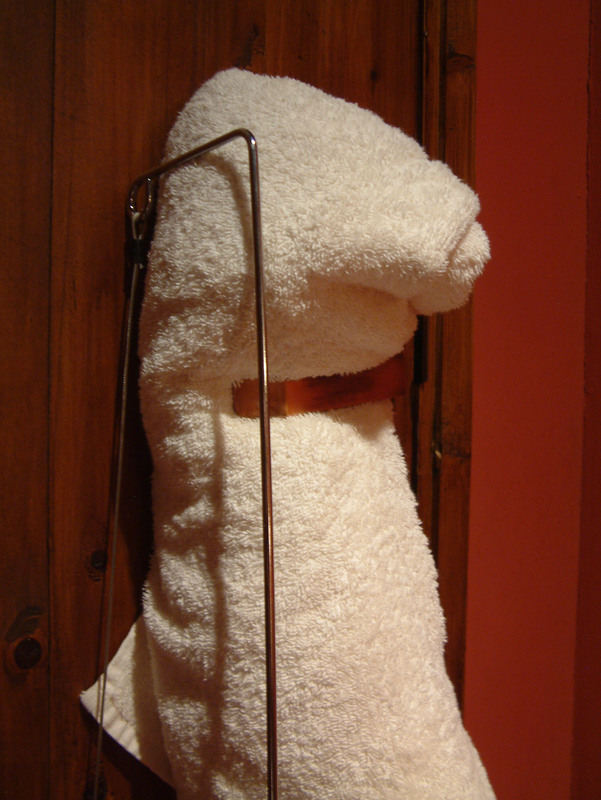 And the tool used to go under the door is even available in a ‘government only’ version. This version can easily been taken apart into small segments but is only sold to government agents. 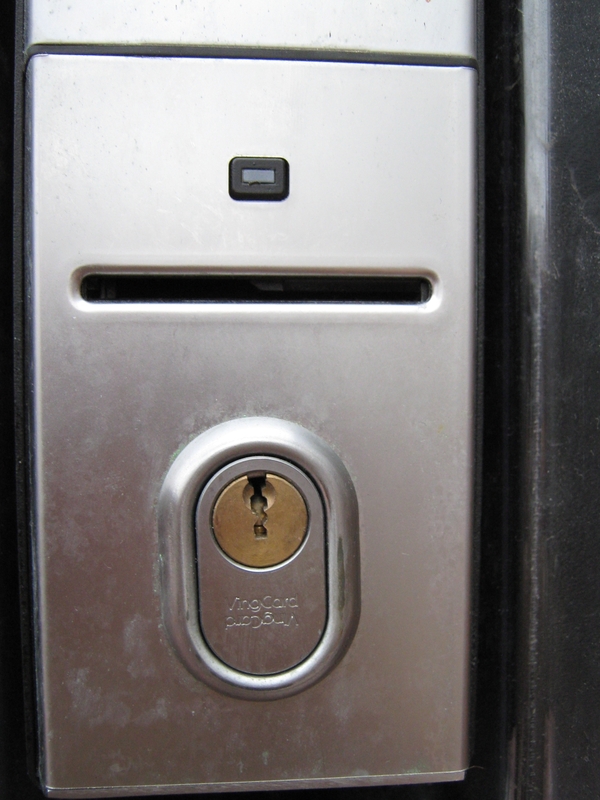 And for those of you who want to know more on the inner working of hotel locks, I have blogged about it before (including a video of ‘how it is made’)…. 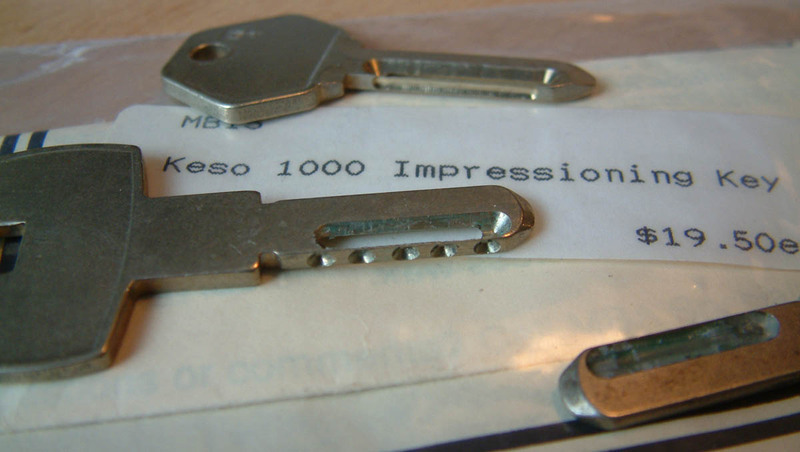 A lot of people asked my opinion about the “Electronic Key Impressioner” that has been in the news lately. The device is not for sale yet and the only thing people have seen so far is a computer model of a device. Technical details are not out yet (as far as I know). This being a news item triggered a lot of people who are now curious if a device like this could really work, and if so, what is the technique behind it. The automatic key impressioner reminded me on something I saw at a trade-show a couple of years ago. At the stand was a person with a some sort of ‘lock probe’ that could electronically read out the combination on some car locks. 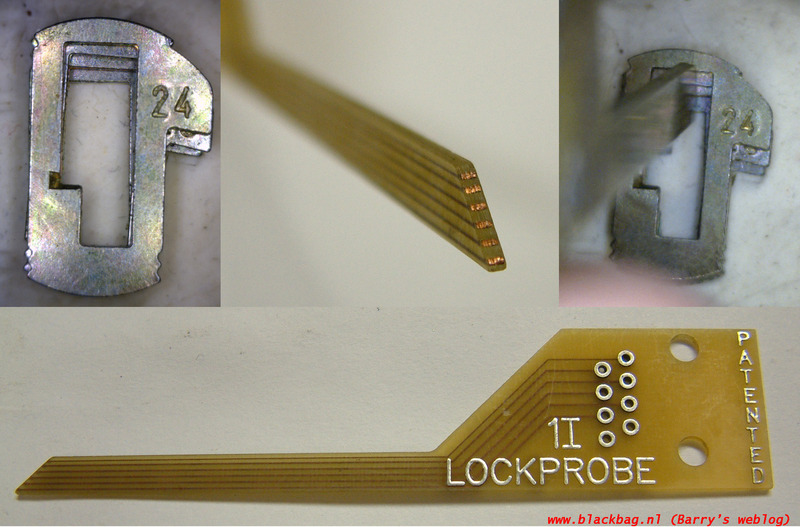 This lock probe was connected to a laptop, and after inserting the lock probe in and out of the lock a couple of times, the code of the lock was on the display of the laptop. Curious on how this technique worked, I spend some time talking with the developer of the system. As we all know, most car locks are wafer locks. 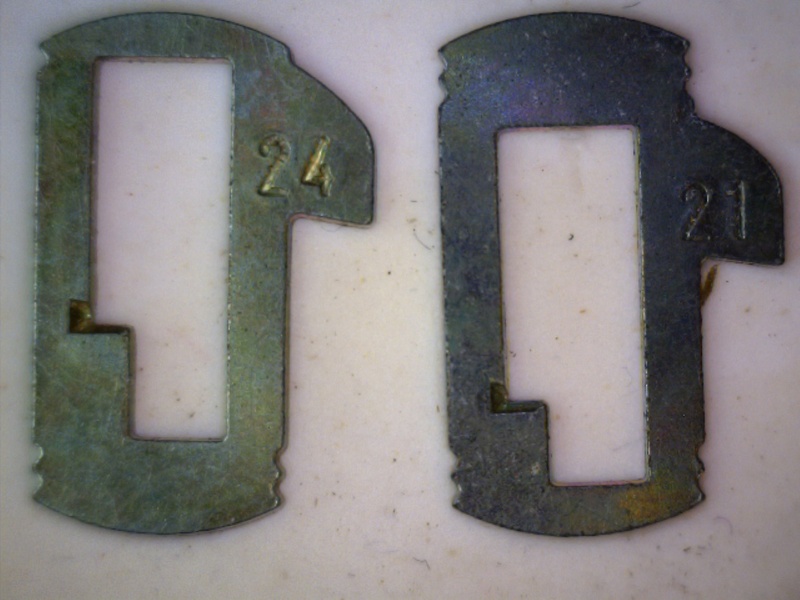 These wafers all have the same outer dimensions and the only thing that differentiates (for example) a ‘cut one’ from a ‘cut four’ is the position of the hole in the wafer. 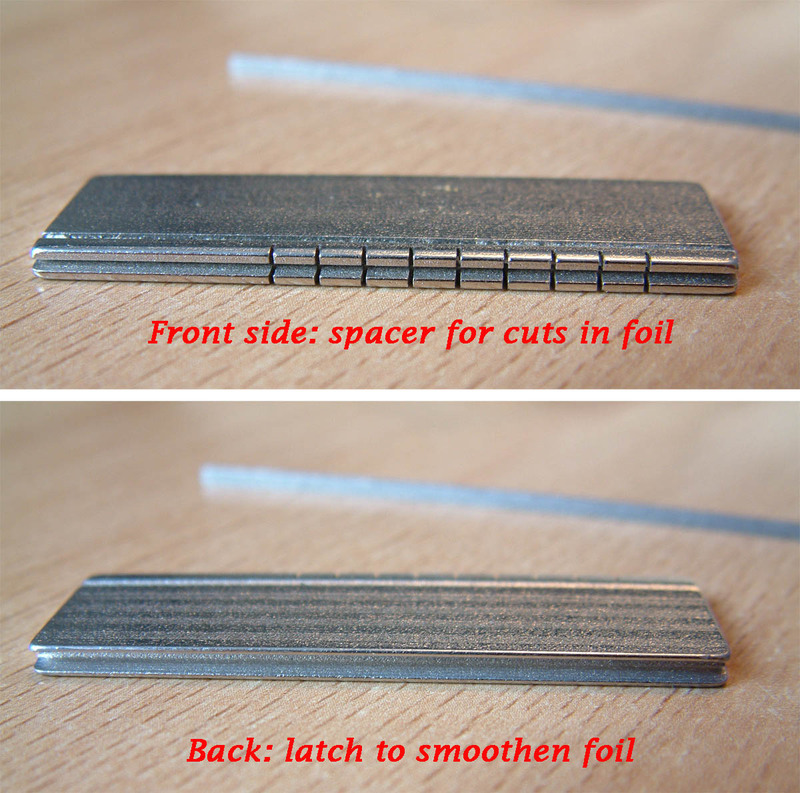 To make it a little more clear for people who are not into locks, I took wafers one, two, three and four from a car lock and stacked them on top of each other. You can clearly see a ‘stairway’ pattern if you stack them in incrementing order. 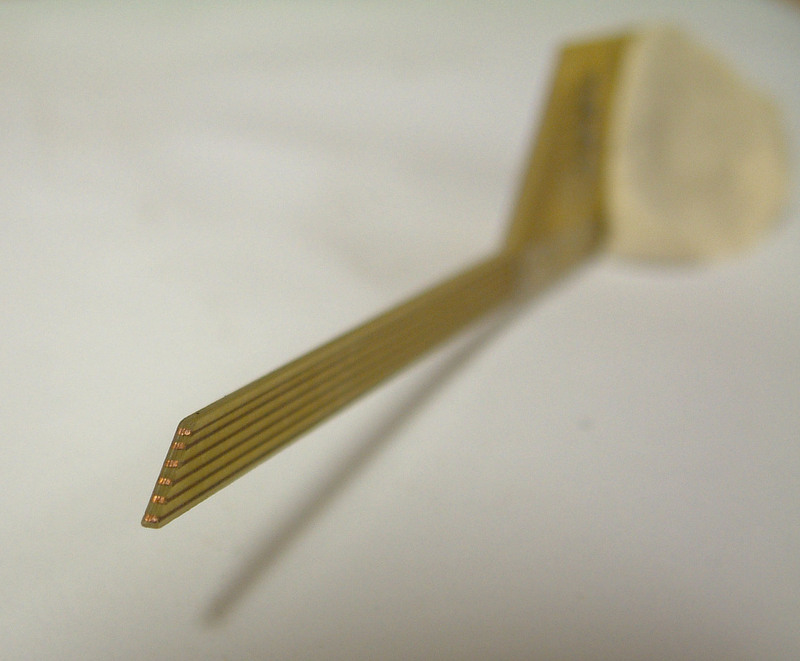 The lock probe I saw at the show used electric current to determine the position of the opening in the wafer. 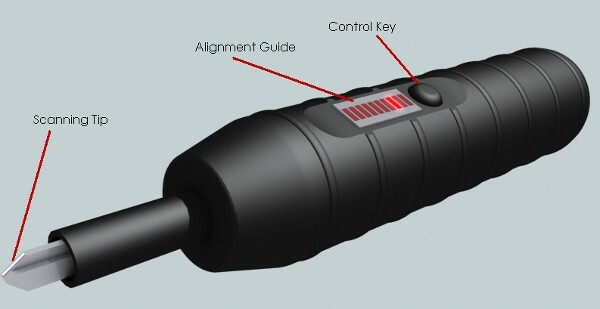 The idea is to put some low voltage on the body of the lock and ‘look for it’ with the contacts in the isolated tip of the lock probe. 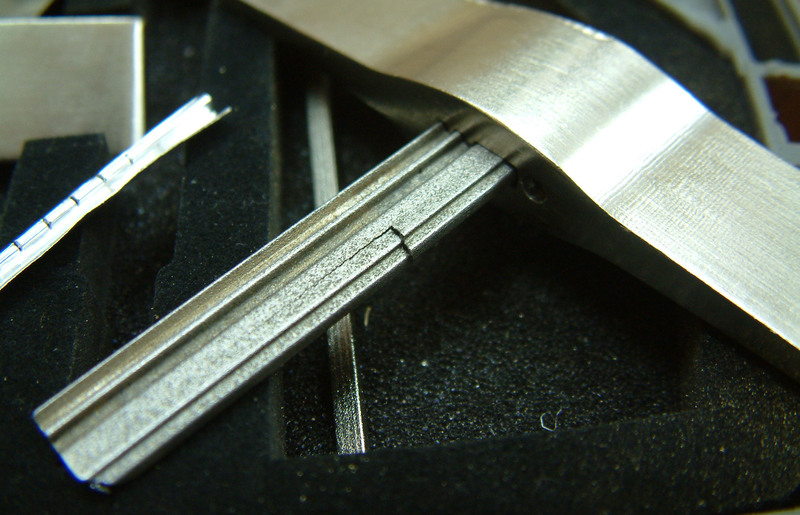 A high cut wafer will only make contact with the higher contact points in the tip, while a low cut wafer will give a reading on more contact points as the tip slides trough it. 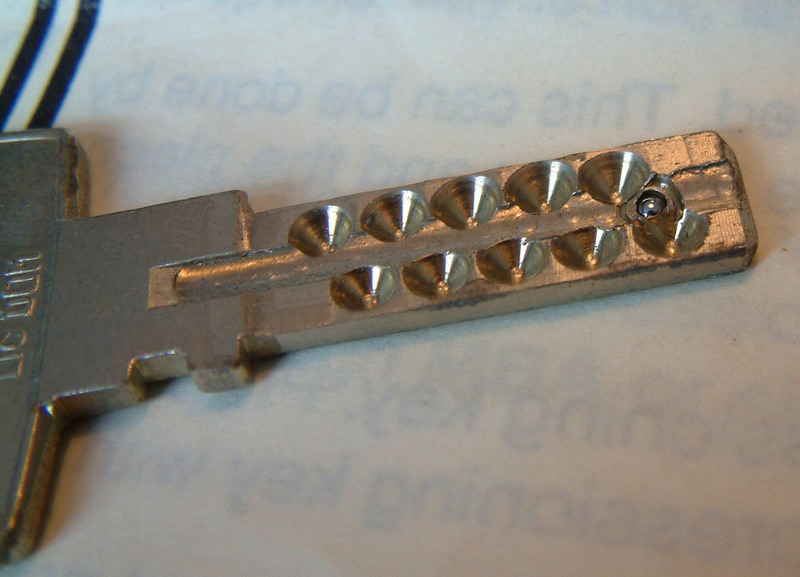 And there were a number of different probes for various lock models (variations in the spacing and position of the contact points on the tip of the key). The theory behind this may all look easy and straight forward, but it took them quite some effort to write a decent piece of software to convert the data into a key-code. The developer told me errors could be introduced if users insert the probe too quickly, and sometimes locks ‘in the field’ were so dirty/greased up that contact with the wafers was not reliable. 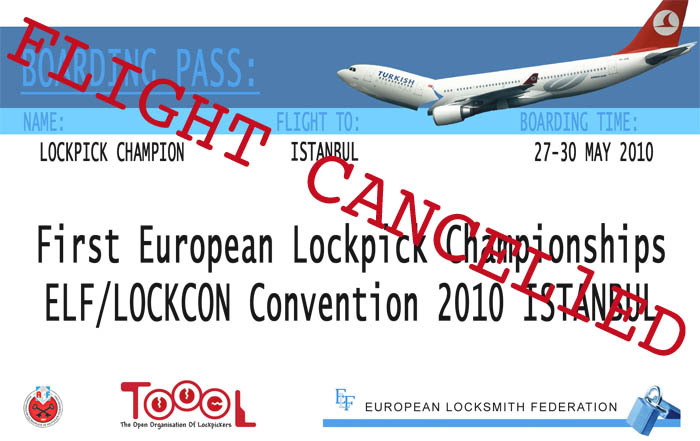 * update: We are making an inventory of people who already booked an airplane ticket to Turkey. Please send me a mail and let me know (and how much you paid for the ticket). It is a great technique that is around for quite some time. 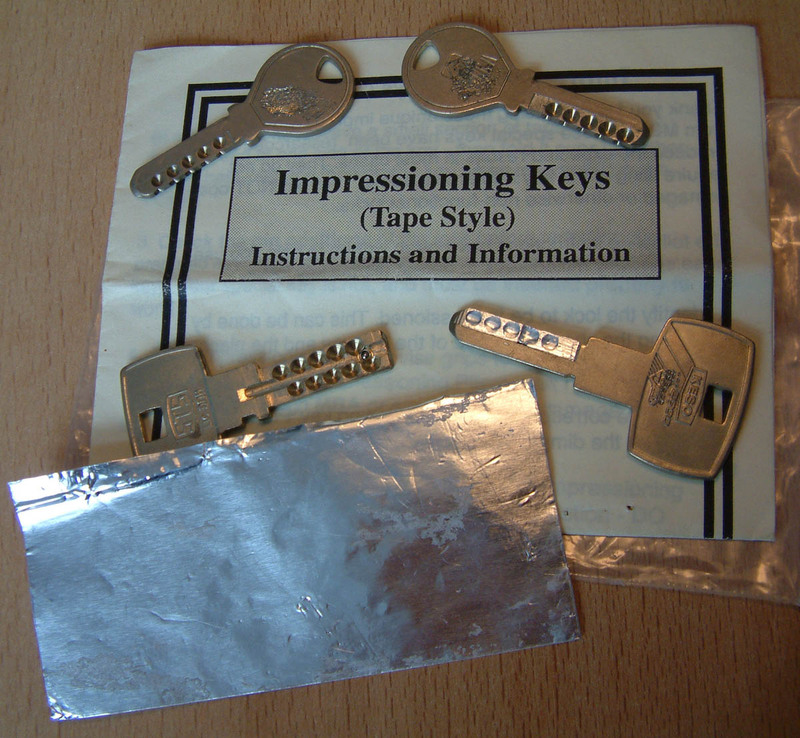 In my collection of picktools I have some impressioning kits made for the locksmith market in 1995 and 1996. These kits use either foil or candle wax to keep the pins in place. 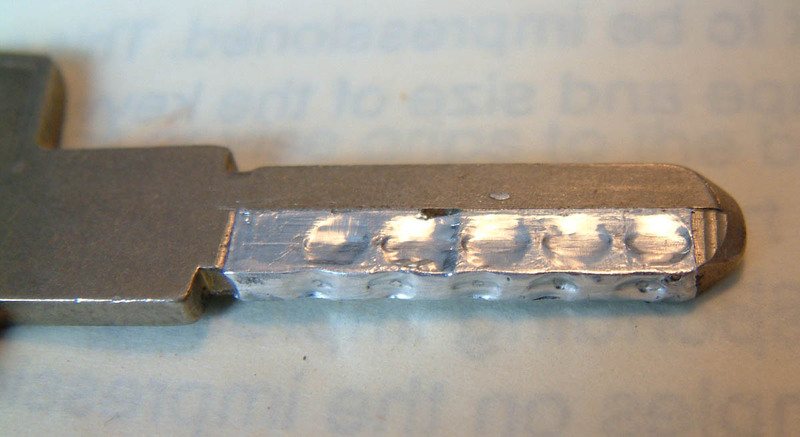 If you take a close look on this key for example, you can see they milled a small fraction of the thickness of the key to make room for the foil. The key including the foil will push all pins to the highest position (or so we hope). This brings us to the two disadvantages with this method. First of all, if there is a high cut and a deep cut next to each other, the foil is not flexible enough to cope with the difference. 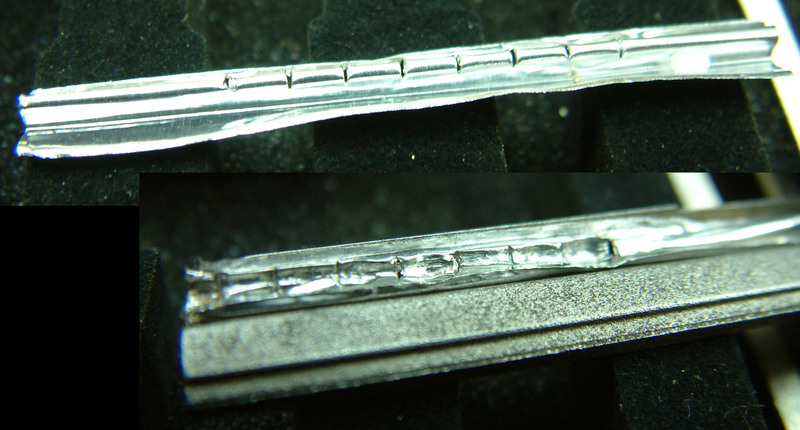 In this case you must pierce the tape if the lock does not open in a couple of minutes to allow the deep pin to sink deeper into the foil. 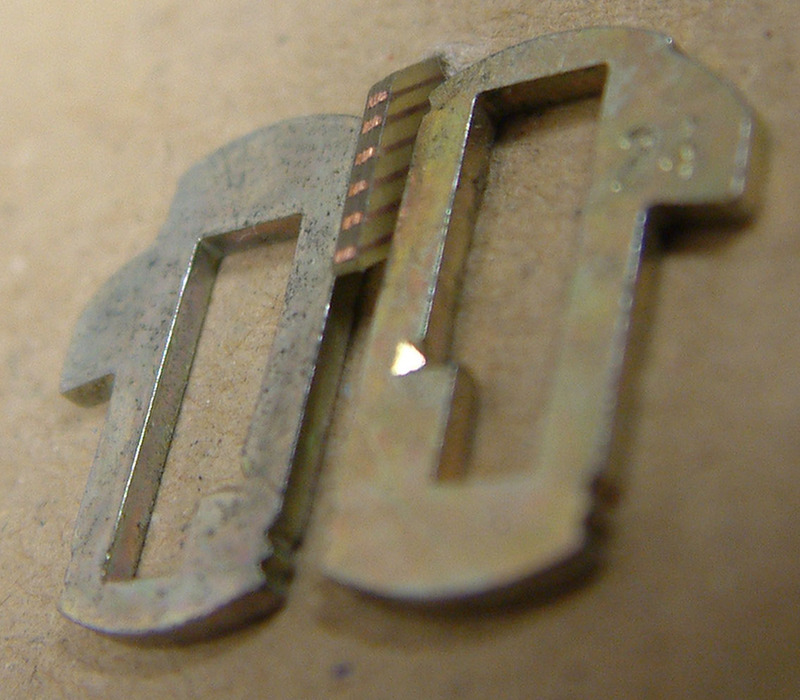 And if the pin in the lock is short (a low cut in the key), there is a chance the pin will start to bind because it is not exactly on ‘shear line’. And once this short pin starts pushing the foil in, you lost (as it will sink in deeper and deeper and you will never open the lock). 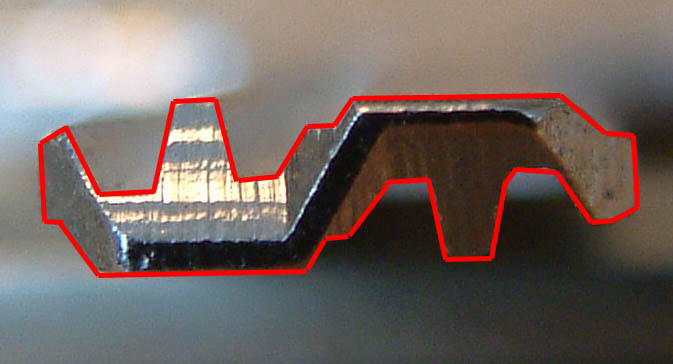 One other disadvantage is that if the profile of the key is not fully flat (meaning if has a serious profile) the tape can not be applied correctly. 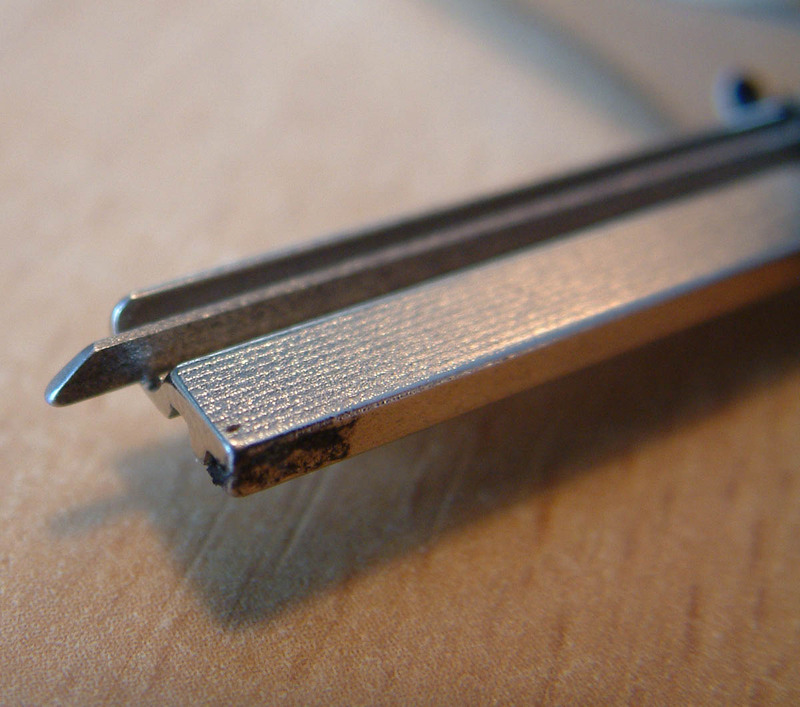 If you try to put tape over (for instance) this profile, the edges of the profile of the lock will tear the tape when entering the lock. 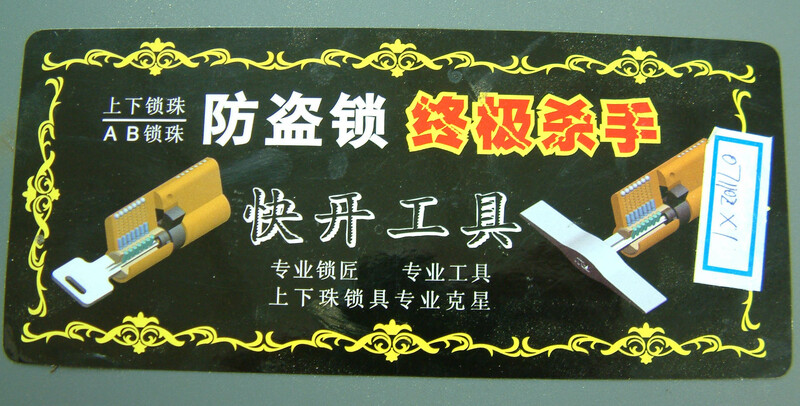 But that latest problem has been solved now by a Chinese tool manufacturer! 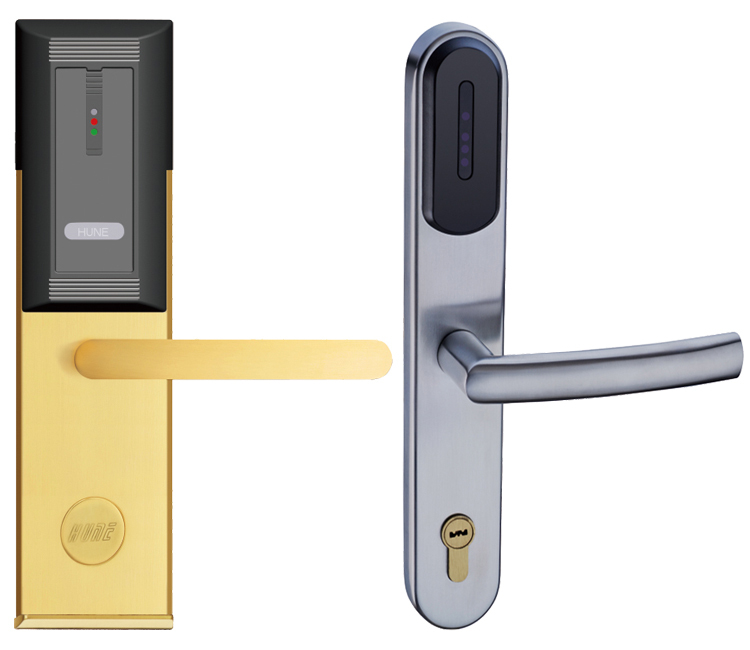 Just brand new on the market is a kit that uses a clever technique to also open dimple locks that have a serious profile (and are not one solid square piece of metal). 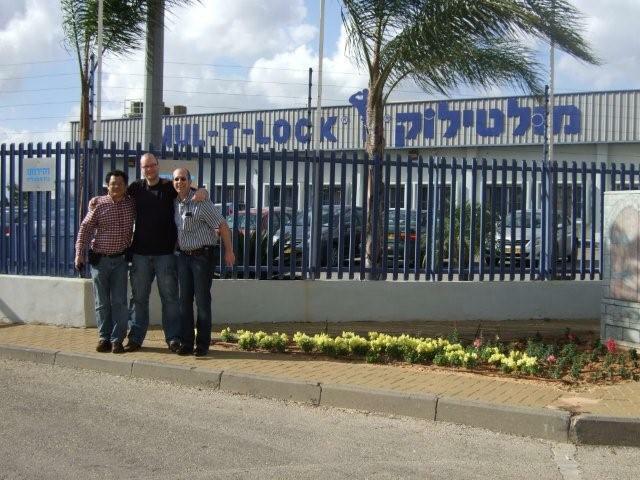 The kit was brought to my attention when visiting Israel with Jord Knaap and Han Fey last week. A local locksmith called Raf (well known from the UK bumpkey forum) invited us to his shop and proudly showed me this tool and technique. The way the tool works is that you first take some aluminum foil and make a ‘U shaped’ form (using the special tool to do so) and make small incisions on pre-determined positions. Next thing you do is put the foil over a special blank that already has the profile of your target lock. 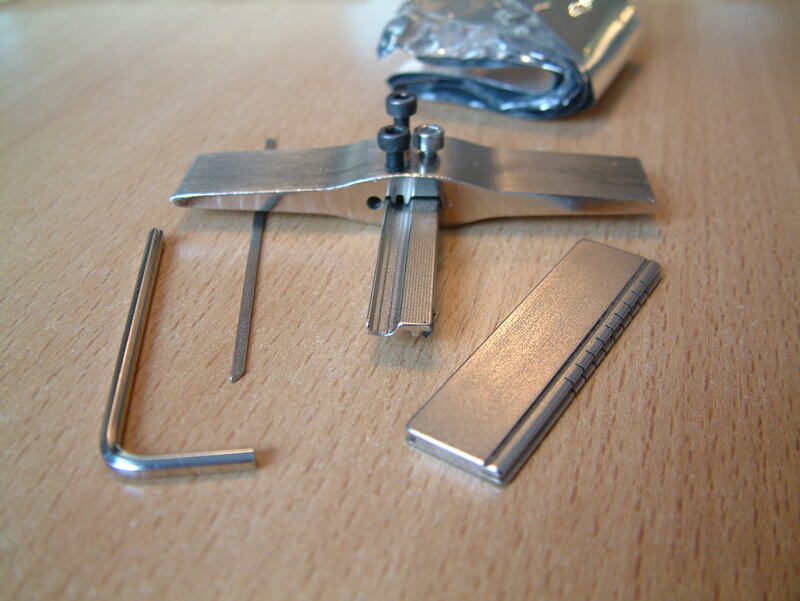 The clever thing about this tool is that the ‘U shaped foil tube’ is wrapped around some sort of needle, and the foil can not be pushed in when entering the lock! 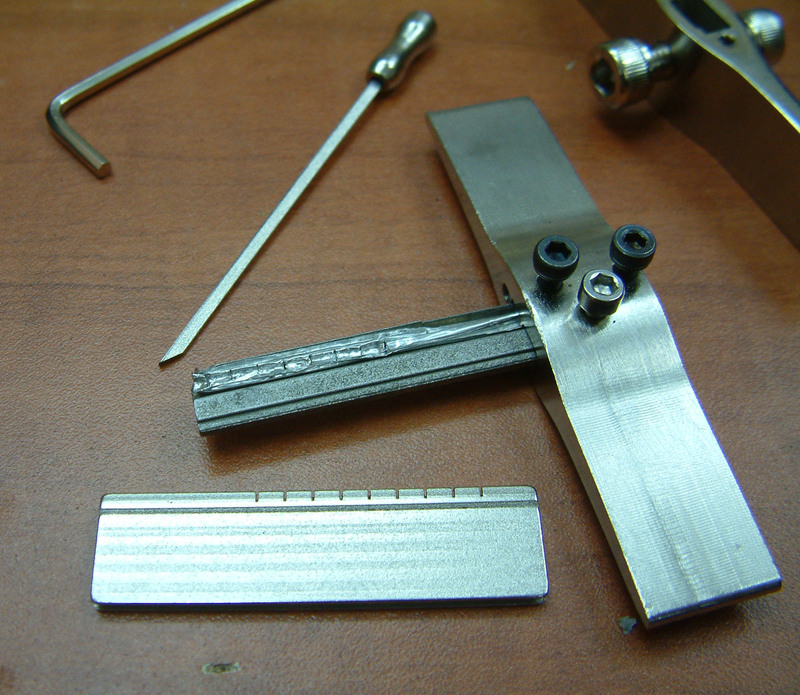 Once the key is inserted, the needle is taken out from the back of the tool, and the pins are now resting on the foil. Because of the cuts in the foil, each pin will stand on it’s own ‘island’ of foil, and when it is pushed in will not disturb the neighboring pin! I have played around with it a little, and the design is really very clever and works fast and reliable! There is something to complain though. 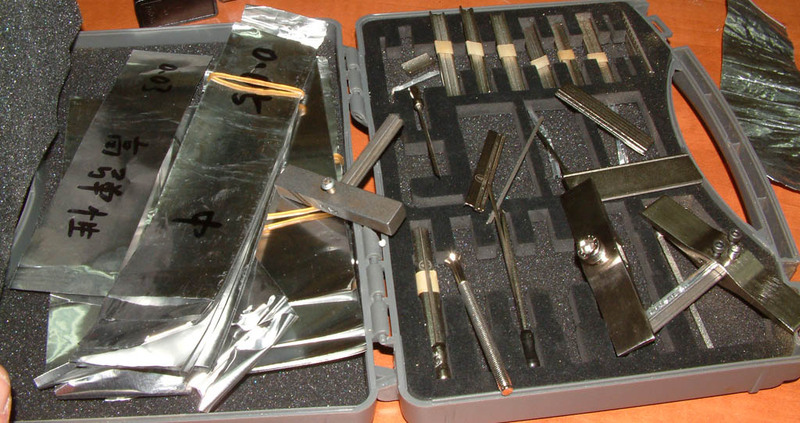 The tool itself is made from ehrm …. not the best quality steel and will break after several tries. 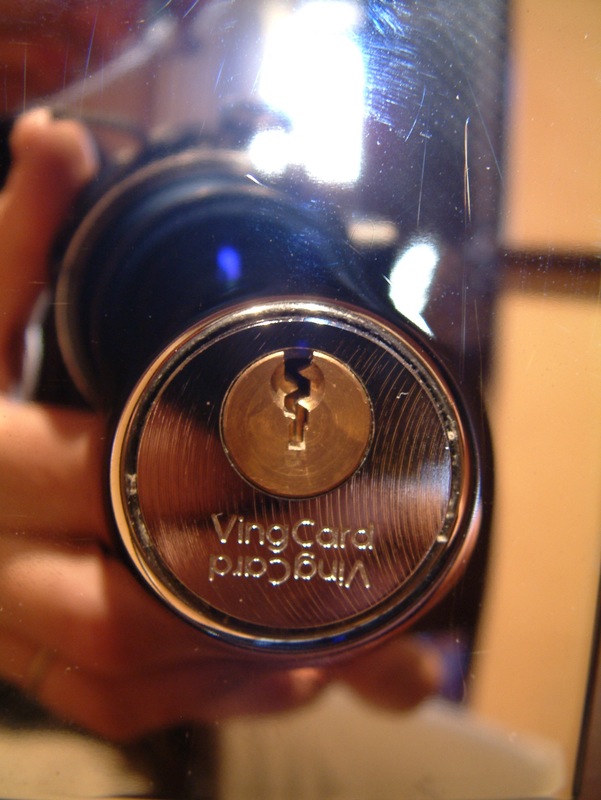 Nevertheless it is a great tool for it’s value, and I am sure this new method of ‘foil tubing’ can be applied to many more locks too …. Thank you Raf (and friends) for the good time, and of course for your excellent video demonstration of this great new tool! Entries (RSS) and Comments (RSS). 43 queries. 0.325 seconds.